STATE HOUSE — Sen. James A. Seveney (D-Dist. 11, Portsmouth, Bristol, Tiverton) has introduced legislation that would impose a substance abuse fine for those who drive under the influence or fail to submit to a breathalyzer test. The legislation, which is cosponsored by Senators McCaffrey (D-Dist. 29, Warwick), Cynthia A. Coyne (D-Dist. 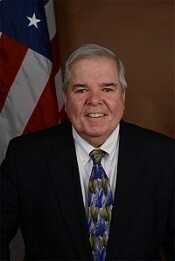 32, Barrington, Bristol, East Providence), Louis P. DiPalma (D-Dist. 12, Middletown, Newport, Tiverton, Little Compton) and Adam J. Satchell (D-Dist. 9, West Warwick), has been referred to the Senate Judiciary Committee. Similar legislation (2019-H 5293) has been introduced in the House of Representatives by Rep. Dennis M. Canario (D-Dist. 71, Portsmouth, Tiverton, Little Compton).